Almost 30 years of experience in commercial real estate brokerage in the northern New Jersey/metro NY area, has prepared us to be highly effective in negotiating and completing sale and lease transactions of virtually every dimension. These have included representing corporate ownership in disposition of research and development facilities in excess of 200,000 Sq. 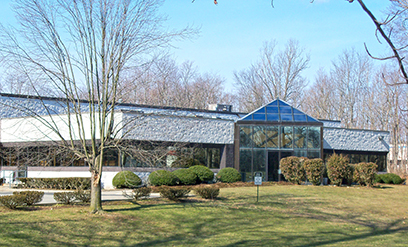 Ft., and tenant representation in successfully locating and leasing more than a quarter-of-a-million square feet of office and warehouse space. In similar fashion, we have worked with smaller "private" property owners in successfully negotiating sales and leases of commercial property to corporate tenants, at times being represented by some of the largest brokerage firms in the world. Decades of addressing an ever-changing array of challenges has helped us develop a sense of how to "put square pegs into round holes", that so often is necessary to bring deals together, especially in difficult economic times. Drawing on an extensive network of contacts throughout the commercial real estate community, and a long-established reputation of trust and highly ethical standards, we have been able to develop and implement creative solutions to property-related challenges for our many diversified customers and clients. Our approach to business includes treating every client as an individual. We strive to view each one's needs as though they were our own, resulting in many long-standing working relationships with a large number of clients remaining exceptionally loyal to us, knowing they have been dealt with fairly and honestly. Utilizing the latest technology in combination with proven "one-on-one" individualized strategies, and a decades-long reputation of trust and integrity, we have a solid track record of being able to get the job done. We look forward to learning about your challenges involving commercial property, and having the opportunity of bringing our many years of experience to benefit you in whatever way possible.